Most treatments for glaucoma are designed to lower and/or control intraocular pressure (IOP), which can damage the optic nerve that transmits visual information to the brain. Glaucoma eye drops often are the first choice over glaucoma surgery and can be very effective at controlling IOP. 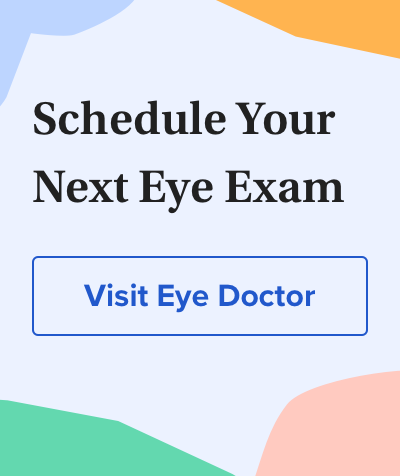 If your eye doctor feels you are a good candidate for glaucoma eye drops, you may be prescribed more than one type to achieve the best IOP control. Glaucoma eye drops are classified by the active ingredient chemical that helps make the drug work. Also, many of the glaucoma eye drops listed here are available in generic forms at your pharmacy. Prostaglandins. These glaucoma eye drops often have the best user compliance because they are required only once daily. Prostaglandins generally work by relaxing muscles in the eye's interior structure to allow better outflow of fluids, thus reducing buildup of eye pressure. Possible side effects include stinging and burning, eye color change, and lengthening and curling of the eyelashes. FDA-approved prostaglandins include Xalatan (Pfizer), Lumigan (Allergan), Travatan Z (Alcon) and Rescula (Novartis). Various glaucoma eye drops are classified by the active ingredient chemical that helps make the drug work. Beta-blockers. Used in a variety of glaucoma eye drops, beta-blockers were at one time the drugs of first choice in treating glaucoma. These drugs work by decreasing fluid (aqueous) production in the eye and now are often prescribed as an adjunct to or in combination with prostaglandins. These eye drops have the potential to reduce heart rate and may cause adverse side effects in individuals with certain heart problems, lung problems (such as emphysema), diabetes, depression or other conditions. For these reasons, make sure you discuss your medical history in detail with your eye doctor before using beta-blockers. Examples of beta-blockers used in glaucoma treatment are Timoptic XE (Merck), Istalol (ISTA) and Betoptic S (Alcon). Alpha-adrenergic agonists. These drugs work by decreasing rate of aqueous humor production and can be used alone or in combination with other anti-glaucoma eye drops. Common side effects associated with this classification of eye drop include red or bloodshot eyes (ocular injection), upper lid elevation, dilated pupils and itching. FDA-approved drugs in this class include Iopidine (Alcon), Alphagan (Allergan), and Alphagan-P (Allergan). Carbonic anhydrase inhibitors. These drugs work by decreasing rate of aqueous humor production. They usually are used in combination with other anti-glaucoma eye drops and not alone. This classification of drug also is available in oral form (pills). Common side effects experienced with carbonic anhydrase inhibitor eye drops include burning, a bitter taste, eyelid reactions and eye redness. FDA-approved eye drops in this class include Trusopt (Merck) and Azopt (Alcon). The systemic (pill) form of carbonic anhydrase inhibitors (CAI) are Diamox (Sigma), Neptazane (Wyeth-Ayerst), and Daranide (Merck, Sharp, & Dohme). Many people cannot tolerate oral CAIs due to their systemic side effects, which include fatigue, depression, loss of appetite, weight loss, loss of libido, kidney stones, metallic taste and tingling in fingers and toes (peripheral neuropathy). Parasympathomimetics. These drugs work by increasing the outflow of aqueous humor from the eye. They are frequently used to control IOP in narrow-angle glaucoma. Parasympathomimetic eye drops cause the pupil to constrict, which assists in opening the narrowed or blocked angle where drainage occurs. Common side effects experienced with this type of glaucoma eye drops include brow ache, pupil constriction, burning, and reduced night vision. FDA-approved drugs in this class include pilocarpine, carbachol, echothiophate and demecarium. Epinephrine. The epinephrine class of drugs has a dual effect on the eye. These drugs work by decreasing the rate of aqueous humor production and increasing the outflow of aqueous humor from the eye. Common side effects experienced with this classification of eye drop include pigmented eye surface membrane (conjunctival) deposits, blocked tear ducts and heart palpitations with an increased heart rate. FDA-approved drugs in this class include epinephrine and Allergan's Propine (dipivalyl epinephrine). For convenience, two different types of glaucoma eye drops may be combined in one bottle. Hyperosmotic agents. These drugs are usually for people with a severely high IOP that must be reduced immediately before permanent, irreversible damage occurs to the optic nerve. Hyperosmotic agents reduce IOP by lowering fluid volume in the eye. Usually given only on a one-time, emergency basis, these drugs include oral glycerin and isosorbide orally, and mannitol and urea intravenously. Combination glaucoma drugs. Many individuals with glaucoma require more than one type of medication to control IOP. For this reason, a few ophthalmic pharmaceutical companies have produced "combination" eye drops that can include two different anti-glaucoma medicines in the same bottle. For convenience, your eye doctor might prescribe combined IOP-lowering medications. Typically, these combined medications have the additive effect of reducing IOP. Examples of FDA-approved medications of this type include Cosopt (Merck), Combigan (Allergan) and DuoTrav (Alcon). Much has been discussed about marijuana as a possible treatment for glaucoma. Nope, sorry. Medical marijuana is not effective against glaucoma. So keep using your glaucoma meds to stave off vision loss! This stems from research dating back to the 1970s that found marijuana had a small, short-term effect in lowering intraocular pressure. However, no research has found that marijuana is anywhere near as effective as legal glaucoma medications. Also, proper dosing of marijuana for optimum therapeutic effect for glaucoma is an issue. And potential side effects from daily use of marijuana may outweigh therapeutic benefits for glaucoma treatment.